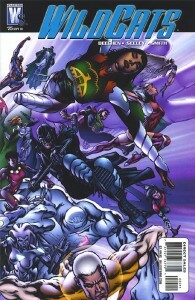 Welcome to a special episode of Wildstorm Addiction! 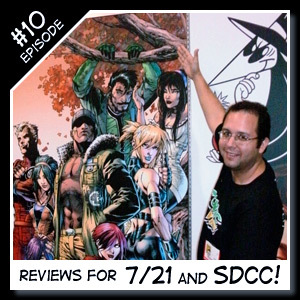 Joe David Soliz brings us the news from the San Diego Comic Con. 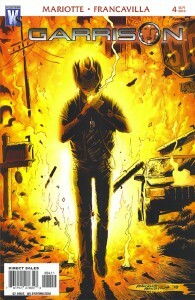 We also have reviews of Dv8: God’s and Monster #4 and the new series, Welcome to Tranquility: One Foot in the Grave #1. Joe welcomes everyone to Episode #10 for the week of July 21st and the weekend of July 25th. Here it is! The battle of the century! Midnighter vs. Zealot! Did the fight deliver? I say, yes! Adam Beechen relies on two of his many strengths during this issue. 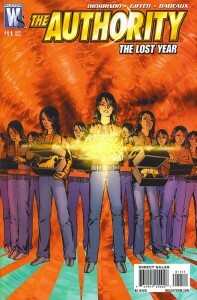 First, he uses a character that is normally in the background to narrate the events (similar to Runt narrating Gen 13 #34, which was also written by Beechen). This time it’s Petrified Girl, originally of the superhero team The Paladins (introduced in Number of the Beast). I had wondered what Beechen’s reasoning was in bringing Petrified Girl to Earth with Zealot, Cybernary, and Maul. It becomes clearer as she narrates the fight.